You may have noticed that I like to test our didgeridoos a lot. The aim and consequence of which is that I feel I have a relatively realistic point of view towards didgeridoos. If you read my texts about didgeridoos they are very rarely full of superlatives and there is almost always some bad aspect presented. We don’t have “concert class” didges, we don’t have “perfect” didges, we don’t have your ideal Christmas gift. In short, my descriptions are not very flashy. But what happens when you give a Duende didgeridoo to a didgeridoo expert to test? And here I use “didgeridoo expert” words very carefully. But it certainly is good description for Gregory Zwingelstein, owner of Didgeridoo Passion. Greg has been in didgeridoo world for quite a while and his passion has driven him a long way. He plays and crafts didgeridoos. He performs with different bands. He has visited Australia many times, learned and worked with Yolngu.Â He has organized numerous didgeridoo workshops, concerts, lessons and has a group of his own that he is developing for a long time, he was a judge at famous “Didg to didg battle”, and spent time actively exercising didgeridoo hearing abbilities. 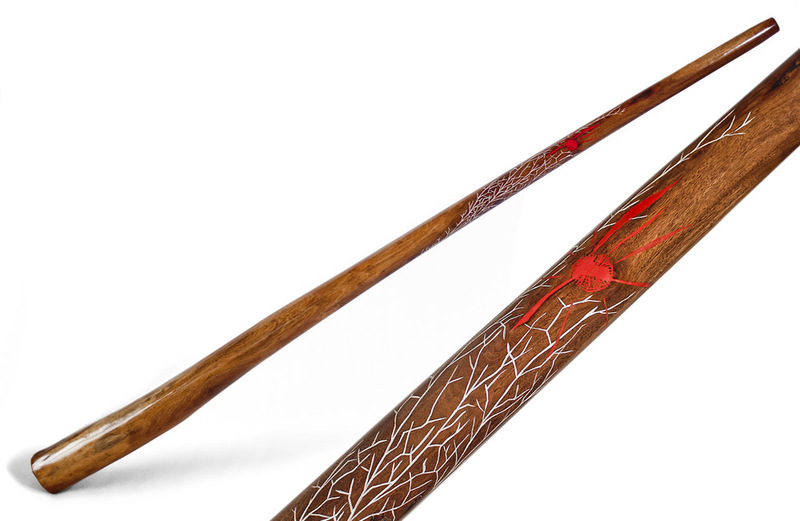 He is the owner of the one and only didgeridoo shop in France and has visited many didgeridoo festivals … and as a consequence of all this… this man has tried INNUMERABLE DIDGERIDOOS. We have given him this didgeridoo for a test. I hope this inspires you to become a deeper didgeridoo enthusiast. To test didgeridoos and learn from didgeridoos directly. And hopefully one day, try also a Duende didgeridoo. An instrument where we have put all of our knowledge, skill and heart. Listen carefully, the didges will whisper.